Shown below are the web-based biographies of Abba Hillel Silver. Because some of these documents require a password or registration to be viewed, the text has been copied to this page. SILVER, ABBA (Abraham) HILLEL (1893–1963), U.S. Reform rabbi, Zionist leader. Silver was born in Lithuania and immigrated to the United States with his family in 1902. While studying at Yeshivat Etz Chaim (later, the Rabbi Yitzhak Elchanan Theological Seminary; see *Yeshiva University ), he founded the Dr. Herzl Zion Club, a Hebrew-speaking group which evolved into *Young Judaea , the first Zionist youth organization in the U.S. He received a B.A. from the University of Cincinnati in 1915 and was ordained the same year at *Hebrew Union College , where he earned a D.D. in 1925. He was awarded an honorary L.D. by (Case) Western Reserve University, an honorary D.H.L. by Hebrew Union College, and an honorary D.H. by the University of Tampa. Following ordination, Silver became rabbi of Congregation Leshem Shomayim in Wheeling, West Virginia (1915–17). In 1917, at the age of 24, and in spite of his outspoken Zionism, he became rabbi of The Temple (Congregation Tifereth Israel) in Cleveland, Ohio, arguably the largest Reform congregation in the country. Committed to the maintenance of basic Jewish tradition, he installed a *Sefer Torah in the sanctuary's empty ark and moved the temple's weekly Sabbath worship service from Sunday to Saturday. He was instrumental in laying the groundwork for replacing the Reform movement's Pittsburgh platform with the 1937 Columbus platform. Infused with the spirit of the prophets of Israel, he denounced segregation and supported the right of labor to organize. He resigned from the Cleveland Chamber of Commerce over its anti-union policies and was a member of the special state labor commission that drafted Ohio's first unemployment insurance law. A self-appointed defender of the Jewish people, Silver was the founder (with Samuel Untermayer, and over the objections of some Jewish leaders) of the Non-sectarian Anti-Nazi League to Champion Human Rights, which organized a boycott of German goods in the 1930s. Active in more than 30 local and national organizations, Silver was the founding president of the Cleveland Bureau of Jewish Education (1924–32); president of the Cleveland Jewish Federation (1935–41); national chairman of the board of governors of the State of Israel Bonds; national chairman of the United Palestine Appeal (1938), and national co-chairman of the United Jewish Appeal; president of the *Central Conference of American Rabbis (1945–47); member of the board of governors of *Hebrew University; president of the alumni association of Hebrew Union College (1936–37), and chairman of its board of alumni overseers (1952); and president (1957–58) and honorary chairman (1945–46) of the *Zionist Organization of America . A brilliant orator, Silver had the greatest impact and made his most important contributions as a founding chairman of the American Zionist Emergency Council (1943–45), and later as chairman of the American section of the Jewish Agency (1946–49). With the outbreak of World War II, he saw the opportunity to achieve the goal of a Jewish state. 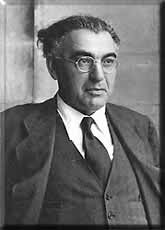 Perceiving that the postwar influence of the United States would be decisive, and winning the support of its people and government crucial, he (together with Stephen S. *Wise , although the two frequently clashed) succeeded beyond expectations in mobilizing public opinion, both Jewish and non-Jewish, on behalf of the Zionist cause. His public and private eloquence resulted in the passage of Congressional resolutions favoring the establishment of a Jewish Commonwealth, as well as in commitments of support enunciated in the Republican and Democratic Party platforms. The high point of his Zionist leadership came on May 8, 1947, when he presented the case for an independent Jewish state before the General Assembly of the United Nations, which passed the Partition Resolution on November 29 of that year, establishing the legal basis for the creation of the state of Israel. He returned again to the United Nations in May 1948 to announce that Israel had declared itself an independent state. It has been speculated that, had Chaim Weizmann not become the first president of Israel, Silver – widely considered one of the architects of modern Israel – might have been selected for that position. In 1950, a poll conducted by the National Jewish Post named him the leading figure of American Jewry. In 1952, he gave the benediction at the inauguration of President Dwight D. Eisenhower. Although internal rivalries led Silver to leave his official posts in Zionist organizations, he constantly responded to appeals for his service in fundraising or for the use of his enormous prestige on behalf of Israel. Back in Ohio, he opposed a 1958 "right-to-work" amendment to the state's constitution. He was the recipient of many awards, including the Medal of Merit from the Jewish War Veterans (1951), the National Human Relations Award of the National Conference of Christians and Jews, and the Louis Brandeis Award of the American Zionist Council. The village Kefar Silver in Israel was named after him. Silver's major books are A History of Messianic Speculation in Israel (1927), The Democratic Impulse in Jewish History (1928), Religion in a Changing World (1931), Vision and Victory (1949), Where Judaism Differed (1956), Moses and the Original Torah (1961), and Therefore Choose Life (1967), a selection of his sermons, addresses and writings (edited by H. Weiner). Silver died in his 45th year as rabbi of The Temple and was succeeded by his son, Daniel Jeremy Silver. Read this biography on the Encyclopaedia Judaica site. "Abba Hillel Silver was best known for his outstanding leadership of the Zionist movement in America. Born in Lithuania in 1893, Silver was raised in a highly traditional home in which Jewish scholarship was strongly emphasized. In 1902 Silver's family arrived in New York City, where Silver spent the rest of his youth. In New York, he became president of the Herzl Zion Club, a Hebrew-speaking group which debated the Jewish issues of the day. Silver was also able to sway world opinion to favor the creation of a Jewish state. It was he, in his capacity as chairman of the American section of the Jewish Agency, who addressed the Assembly of the United Nations for the Zionists. Several months later, in November 1947, the U.N. announced its approval of partition and the establishment of the Jewish state. After the establishment of the State of Israel, Silver faced opposition from within the Zionist movement. As a result, he was forced to relinquish his leadership position, but remained a powerful and influential spokesperson." Read this biography on the site of the Jewish Virtual Library. "Silver, Abba Hillel (28 Jan. 1893-28 Nov. 1963), rabbi and Zionist leader, was born Abraham Silver in the Lithuanian village of Neustadt-Schirwindt, the son of Rabbi Moses Silver, a proprietor of a soap business, and Dina Seaman. The family immigrated to the United States in stages, settling on New York City's Lower East Side in 1902, when Silver was nine years old. He attended public school in the mornings and Jewish religious seminaries in the afternoons yet still made time for his growing interest in the fledgling Zionist movement. He and his brother Maxwell founded the Dr. Herzl Zion Club, one of the first Zionist youth groups in America, in 1904. On Friday evenings, Silver attended the mesmerizing lectures of Zvi Hirsch Masliansky, the most influential Zionist preacher of that era. "I can still taste the sweet honey of his words," Silver remarked many years later. Inspired by Masliansky, Silver soon developed a reputation of his own as an orator, equally eloquent in Yiddish, Hebrew, and English. He addressed the national Federation of American Zionists convention when he was just fourteen. During his high school years, Silver excelled in secular studies and increasingly moved away from his Orthodox religious upbringing. Upon graduation, in 1911, he enrolled at the University of Cincinnati and the Hebrew Union College, the rabbinical seminary of Reform Judaism. He was not fazed by the Reform movement's anti-Zionism; indeed, it may have whetted his appetite. He organized Zionist activity on campus, edited student publications, won prizes in public speaking contests, and graduated in 1915 as valedictorian of his class. At his first pulpit, in Wheeling, West Virginia, Silver soon earned a local and regional reputation as an orator. He also earned the enmity of more than a few Wheeling residents by his involvement in controversial causes, especially his sponsorship of a lecture in 1917 by Senator Robert M. La Follette, who opposed U.S. entry into World War I. That summer, Silver was lured away from Wheeling to Cleveland, Ohio, to become the spiritual leader of the Temple (Tifereth Israel), one of the country's most prominent Reform congregations. In Cleveland he continued to attract public attention, usually as an outspoken defender of labor unions, and frequently sparred with groups such as the Daughters of the American Revolution, which denounced him as a dangerous radical. Still, it was the cause of Zionism that was closest to Silver's heart, reinvigorated by a visit to British-administered Palestine in the summer of 1919. Soon he was speaking throughout the United States on behalf of the Zionist movement, attracting large audiences and rave reviews. "Many who heard him last night pronounced him as one of the greatest orators the Jews possess," a newspaper in Texas declared after one of Silver's addresses. In 1923 he married Virginia Horkheimer; they had two sons. While two assistant rabbis handled the bulk of the Temple's routine rabbinical duties, Silver rose to prominence on the national Jewish scene. As leader of Cleveland's Zionists - who comprised one of the largest districts of the Zionist Organization of America (ZOA) - he spearheaded protests against British restrictions on Jewish immigration to Palestine and organized boycotts of products from Nazi Germany. The escalating Nazi persecution of Jews, the apathetic response of the Roosevelt administration to news of Hitler's atrocities, and England's refusal to open Palestine to refugees from Hitler, stimulated a mood of growing militancy in the American Jewish community during the late 1930s and early 1940s. Silver both symbolized American Jewish militancy and helped encourage its spread. In August 1943, he was appointed co-chair of the American Zionist Emergency Council (AZEC), a coalition of the leading U.S. Zionist groups, alongside Rabbi Stephen Wise. Until then Wise had been widely regarded as the most powerful leader of the American Jewish community. Silver's elevation to the co-chairmanship of AZEC launched a bitter political and personal rivalry between the two men that would endure for years. While Wise, a loyal Democrat, was reluctant to criticize the Roosevelt administration's hands-off attitude toward Palestine and European Jewry, Silver did not hesitate to speak his mind. Silver's followers characterized the contrast between the two as "Aggressive Zionism" versus "the Politics of the Green Light [from the White House]." Within weeks of assuming the AZEC co-chairmanship, Silver spoiled Wise's plan to downplay the Palestine issue at that year's American Jewish Conference. Wise had hoped to mollify Washington and London, as well as Jewish critics of Zionism, by skirting the Jewish statehood issue, but Silver electrified the delegates with an unannounced address in which he vigorously demanded Jewish national independence. The "thunderous applause" that greeted his speech said as much about Silver's new prominence as it did about the American Jewish mood. Under Silver's leadership, American Zionism assumed a vocal new role in Washington, D.C. Mobilized by AZEC, grassroots Zionists deluged Capitol Hill with calls and letters in early 1943 and late 1944, urging the passage of a congressional resolution declaring U.S. support for creation of a Jewish national home in Palestine. The opposition of the War and State Departments stalled the resolution in committee but did not deter Silver from campaigning in the summer of 1944 for the inclusion of pro-Zionist planks in the election platforms of the Republican and Democratic parties that summer. Silver's ability to maneuver the two parties into competition for Jewish electoral support was a testimony to his political sophistication even if, much to Wise's chagrin, the Republican platform went beyond what AZEC requested by denouncing FDR for not challenging England's pro-Arab tilt in Palestine. While successfully usurping Wise's leadership role in the Jewish community, Silver took care to guard his own right flank. He quietly hired several militant Revisionist Zionists to help shape AZEC policy and guide its public information campaigns. He also engineered a public reconciliation between the Revisionists' U.S. wing and the mainstream Zionist movement. During the postwar period, Silver and AZEC stepped up their pressure on the Truman administration with a fresh barrage of protest rallies, newspaper advertisements, and educational campaigns. Silver's effort in early 1946 to link postwar U.S. loans to British policy in Palestine collapsed when Wise broke ranks to lobby against linkage. More successful were Silver's behind-the-scenes efforts to mobilize non-Jewish Americans on behalf of the Zionist cause. AZEC sponsored the American Christian Palestine Committee, which activated grassroots Christian Zionists nationwide, and the Christian Council on Palestine, which spoke for nearly 3,000 pro-Zionist Christian clergymen. Although the Truman administration wavered in its support for the 1947 United Nations plan to partition Palestine into Jewish and Arab states, a torrent of protest activity spearheaded by Silver and AZEC helped convince the president to recognize the new State of Israel just minutes after its creation. Silver's protests against the U.S. arms embargo on the Middle East, however, were consistently rebuffed by the administration. In the aftermath of Israel's birth, Silver pressed for a clear separation between the new state and the Zionist movement, insisting that Israel should not control the World Zionist Organization or other Diaspora agencies. The leaders of the ruling Israeli Labor party had always viewed Silver with some suspicion because he preferred the free market advocates of the General Zionist party to the socialists of Labor. His effort to break Israeli hegemony over the Diaspora enraged Prime Minister David Ben-Gurion. The Labor leadership threw its support behind a faction of disgruntled ZOA members who resented Silver's prominence, and together they forced Silver and his followers from power in 1949. Silver resumed full-time rabbinical duties at the Temple, with only an occasional and brief foray into the political arena when he could utilize his Republican contacts to lobby on Israel's behalf. He turned his attention to religious scholarship, reading voraciously and authoring several well-received books on Judaism. He died suddenly at a family Thanksgiving celebration in Cleveland. Silver's reign marked a political coming of age for American Jewry. His lobbying victories infused the Jewish community with confidence and a sense that their agenda was a legitimate part of American political culture--no mean feat for a community comprised largely of immigrants and children of immigrants. The Silver years left their mark on the American political scene as well. After the inclusion of Palestine in the 1944 party platforms, Zionist concerns assumed a permanent place in American electoral politics. Additionally, the swift U.S. recognition of Israel in 1948, a decision made, in large measure, with an eye toward American Jewish opinion, was a first major step in cementing the America-Israel friendship that has endured ever since." From American National Biography, published by Oxford University Press, Inc., copyright 2000 American Council of Learned Societies. For our page on Reverend Zvi Hirsch Masliansky, said to have inspired the young Abraham Silver, click here. As a college freshman, Leon Feuer, whose family were members of The Temple, was encouraged by Abba Hillel Silver to attend Hebrew Union College. Upon Feuer's ordination in 1927, Silver named him to be his first Assistant Rabbi. He served until January 1935, leaving to lead a congregation in Toledo. Feuer also served as Silver's aide during the years (1943-45) of the battle for the establishment of the State of Israel. His last service to Silver was to recite the Kaddish at Silver's funeral in 1963. His 20 page memoir on Silver, published in the November 1967 issue of the Journal of the American Jewish Archives, is a sensitive and revealing document. In my view, it is a "must read".